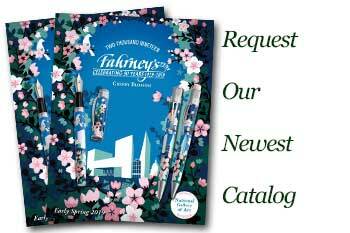 Order your Cross Century Liberty United Ballpoint Pen today from FahrneysPens.com. Fine Pens, Refills & Luxurious Gifts – great prices & fast shipping. Cross has proudly partnered with Liberty United to create this very special collectable Century Liberty United pen that supports the mission of stopping gun violence on the streets of America by supporting programs to educate and protect at-risk children in some of the most dangerous neighborhoods in America. The pen cap bears a serial number from an illegal gun removed from circulation through Liberty United’s partnerships with law enforcement. The clip emblem features a steel moniker from a melted-down illegal gun. The Classic Century Liberty United Ballpoint Pen features 23kt gold plated appointments. Liberty United donates 20% of profits to fund programs to protect, educate, and train at-risk children in partner communities. To date, Liberty United has funded programs for more than 2,000 at-risk children across the United States. Each year more than 17,000 American children fall victim to gun violence. Join the Movement. Transform a Gun. Help Save a Life.